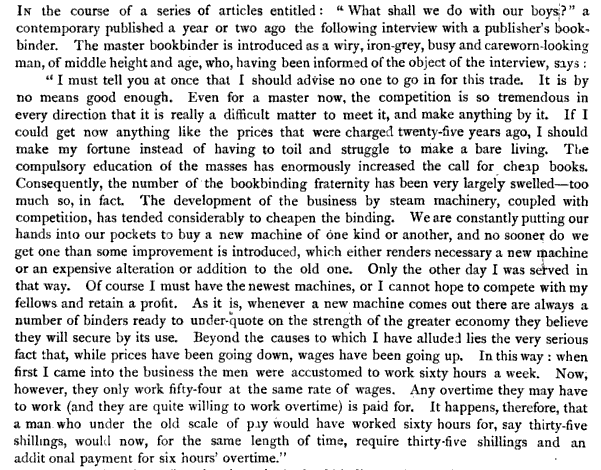 Letter to a Young Bookbinder, 1889: Don’t Go Into This Trade! It is odd to be in a field that has such a long history of not just pessimism, but an impending sense that the entire trade is nearing death. But this must be tempered with the knowledge that this has continued for at least 120 years, and likely much longer. A long, slow death, indeed. 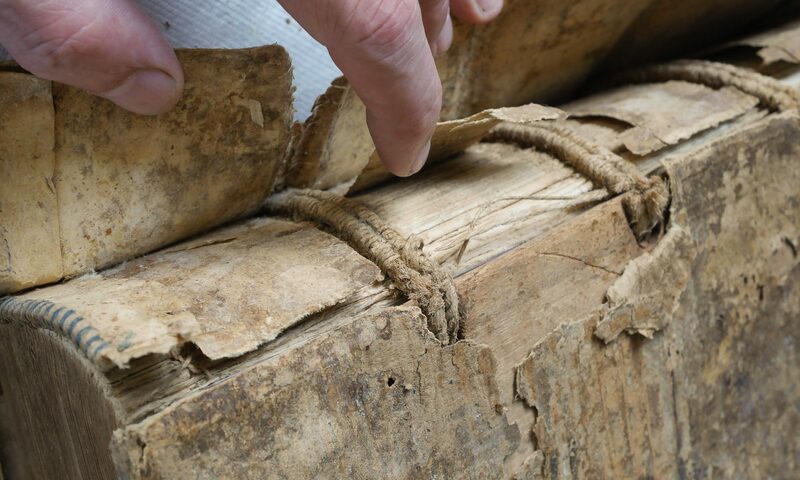 So when I attempt to dissuade a young, would be book conservator from entering the field, perhaps I am just continuing this somewhat old tradition. Or maybe it is an established method to keep the field populated by those who are passionate, determined, cantankerous, and foolhardy enough not to be deterred by its eternally gloomy future. Next week, at the annual AIC conference, I’ll be guest blogging for AIC, covering the panel discussion, “Models for Educating Library and Archives Conservators”. Hopefully it will prove to be a lively and provocative session – at least my questions will be! Most of the presentations at the conference will be covered by various bloggers on the new AIC Blog. Delaware-Winterthur, and Judy Walsh, Buffalo State. I’m looking forward that discussion as well. I receive a fair number of queries on a regular basis from those looking to enter the field as binders, conservators, journal makers, … For many who are looking for a change from their day jobs, often with benefits…, I recommend that they find a way to stick with the job and do the books for enjoyment and/or on the side. Keeping the “field populated by those who are passionate, determined, cantankerous, and foolhardy enough not to be deterred by its eternally gloomy future” isn’t all bad. Looking forward to your AIC posts. The new AIC blog is now online at http://www.Conservators-Converse.org. Thanks Jeff.